Oil was discovered in Palestine, Texas in the early 1900s and, thanks to its location and advanced rail system, the city quickly became a center for production — and a logistical, operational base for manufacturers across the region. Palestine’s leadership role in this essential industry, built on a rock solid economic base, continues to this day. The area’s accessible location, as well as its experienced workforce, has resulted in consistent industry growth, both in terms of jobs and real wages. What’s more, years of operational success, coupled with advanced technical education at two community colleges, puts Palestine in a position to support investments in alternative energy generation – which has already seen steady growth over the last several years. Because energy and alternative energy are long-term growth industries, Palestine’s economic development, government and business leaders are deeply invested in recruiting and assisting individuals, startups and established companies in this essential sector. Twenty-five years ago, the Arkansas-based retail giant Walmart chose to build its first out-of-state distribution center in Palestine, Texas. (Still in operation, it remains one of just seven of the company’s U.S.-based Fashion Distribution Centers.) In the mid-Nineties, the company constructed another one of its just 160 regional distribution centers in Palestine, which annually receives and ships $2 billion in merchandise. Walmart’s neighbors now include wholesale beverage distributors, aerospace parts distributors and food processing plants. Over the past five years, in fact, logistics and distribution has been the fastest growing sector of the local economy. It’s no wonder. The Union Pacific Railroad is a major local force that, coupled with access to major highway and other modes of rapid transportation, makes Palestine the ideal location for distribution to Texas, Louisiana, Arkansas and Oklahoma. The city is less than 2 hours from Dallas, and about 2 and a half hours from Houston, Texas and Shreveport, Louisiana. And there’s room for even more growth, with existing structures available, as well as space to build and develop new facilities in places like the Willow Creek Business Park. 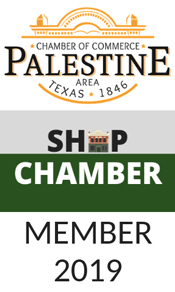 the fastest growing needs and industries in the United States, and Palestine is uniquely positioned to provide both high quality patient care and support for related businesses and entrepreneurial thinking. Serving 100,000 people every year, the Palestine Regional Medical Center and Palestine Regional Rehabilitation Hospital is renowned for providing advanced diagnostic, therapeutic and rehabilitative services. Employing over 500 people, including 80 physicians representing 28 different specialties, these facilities feed and draw from auxiliary doctors and dentists offices and assisted living centers. And the workforce and demand exists for the expansion of diagnostic laboratories, outpatients care centers and other related services. Modern food markets would not exist without food processing. Palestine and Anderson County are home to Sanderson Farms Plant and Processing Center. The TDCJ is responsible for statewide criminal justice for adult offenders, including managing offenders in state prisons, state jails and private correctional facilities, funding and certain oversight of community supervision, and supervision of offenders released from prison on parole or mandatory supervision. The TDCJ operates the largest prison system in the United States and is located 30 miles west of Palestine and has a large number of employment about 37,000.